Congratulations to Jenny of Sylvania, who is the winner of the 7th weekly draw for the Adult Summer Reading Club, 2012-2013. 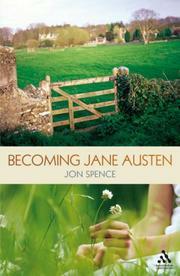 Jenny read "Becoming Jane Austen" by Jon Spence. Book Review: This is the story of Jane Austen, and the love affair she had with Tom Lefroy. It was sad, because they couldn't marry as Jane was poor, and Tom needed to marry into money to support his sisters. The book tells you the story of all Jane's relatives, her family, and families of her parents. It tells of the different circumstances which forced them into the lives they led. It is a fascinating insight into life in the 18th/19th centuries; how much influence titles, maneuvering of money and positions and the intrigue regarding marriage. You also discover the stories interwoven behind the stories.